Boston — The Baker-Polito Administration today announced $105,500 in grants to seven marketing campaigns designed to increase awareness and demand for Massachusetts seafood products. The grants were awarded through the Division of Marine Fisheries’ (DMF) Seafood Marketing Pilot Grant Program, a new program created to support the Commonwealth’s fishing and seafood industries. Seven organizations were awarded funding for projects to stimulate demand though education, promotion, and other strategies. These organizations have experience and significant ties to the commercial fishing and seafood industries and communities, focus on different species and span geographical areas throughout the state. Funding for this pilot grant program comes from commercial fishing and dealer permits through the Seafood Marketing Program. The Baker-Polito Administration launched the Massachusetts Seafood Marketing Program in August 2016 to increase awareness and demand for local seafood products. 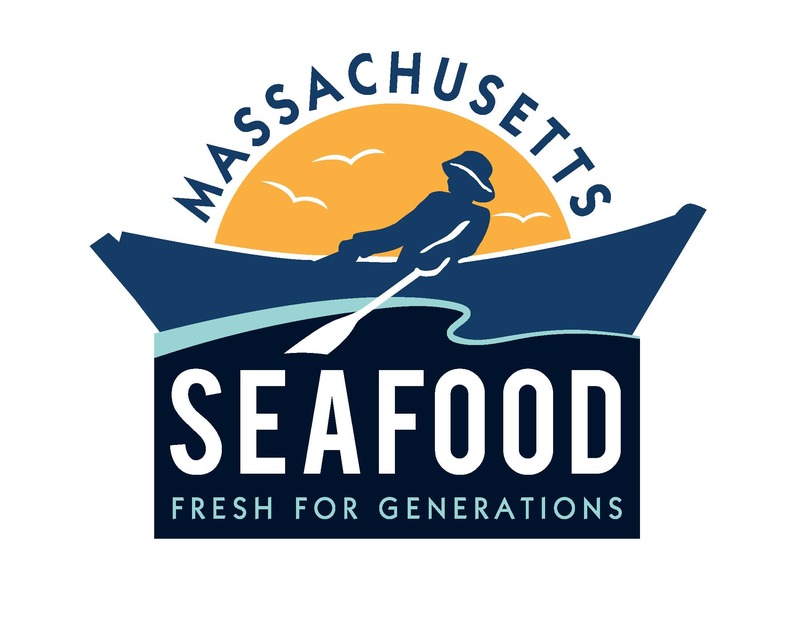 The program recently announced a partnership with the Massachusetts Farm to School Project to promote the consumption of local seafood in schools. Cape Cod Commercial Fishermen's Alliance, Cape Cod: “Supporting the Local Economy: Demonstrating Skate and Dogfish” – $15,000 – Two boat-to-plate recipe demonstration videos on dogfish and skate for social media, in partnership with Buy Fresh Buy Local Cape Cod. Fishing Partnership Support Services Massachusetts, Burlington: “The Faces of Fishermen and their Families” – $10,000 – Five photo essays of fishermen and their families to increase public awareness by showing positive impact of our commercial fishing industry on our coastal communities. Red's Best, Boston: “Promoting Local Catch at the Boston Public Market” – $14,000 – Twelve free sample sessions for public tastings prepared by Red’s Best kitchen staff with promotional material, and four seafood events at the Kitchen at the Boston Public Market. City of Gloucester/Gloucester Fishermen's Wives Association, Gloucester: “Collaborative Local Seafood Product Development for a New Audience” – $13,000 – Product development for various locally caught species such as Red Fish, Whiting, Pollock, Hake, and Yellowtail Flounder in order to market seafood better to buyers in restaurants, hotels, hospitals, and universities. Green Crab R & D Group, Ipswich: “The Nation's First Soft-Shell Green Crab Harvest” – $20,000 – Production of the country’s first harvest of soft-shell green crabs, refine techniques and create market demand. New Bedford Harbor Development Commission, New Bedford: “Creating a Portal to New Bedford Seafood” – $13,000 – Creation of a New Bedford Seafood website that offers a central location for local, regional, and international buyers, and a Seafood Throwdown. Wellfleet SPAT, Wellfleet: “Taste the Merrior: An Educational Experience” – $20,500 – A pilot educational and tasting event in Boston this spring to reacquire and increase market share for Wellfleet oysters and clams after the damaging norovirus outbreak last fall. DMF’s Seafood Marketing Program works to educate people on seafood availability, preparation, health benefits, economic contribution and environmental sustainability through printed material, events, partnerships and more. Legislators, agency heads and industry members comprise the program’s steering committee. The Department of Fish and Game (DFG) is responsible for promoting the conservation and enjoyment of the Commonwealth's natural resources. DFG, with its divisions including the Division of Marine Fisheries, carries out this mission through land protection and wildlife habitat management, management of inland and marine fish and wildlife species, and ecological restoration of fresh water, salt water, and terrestrial habitats. DFG promotes enjoyment of the Massachusetts environment through outdoor skills workshops, fishing festivals and other educational programs, and by enhancing access to the Commonwealth's rivers, lakes, and coastal waters. The Division of Marine Fisheries manages the state’s commercial and recreational saltwater fisheries and oversees other services that support the marine environment and fishing communities. The steering committee is a 19-member group made up of both industry and government representatives. Formed in 2016, this steering committee assists DMF in reaching our goal of increasing consumer awareness and preference for local seafood in support of the Commonwealth's fishing and seafood industries and communities.